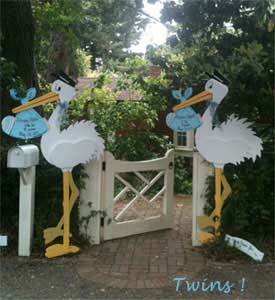 Celebrate & Announce Baby’s Birth in Style! If you didn’t make advanced reservations. You can even call from the hospital to order! 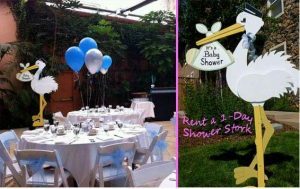 The Stork Lawn Sign Stork Delivery Rental includes the personalized bundle “keepsake” that hangs from our Stork’s beak. The bundle and bow become the “keepsake” present for new parents at end of rental period. Birth “keepsake” bundle is personalized with Baby Name, Weight & Length, Date-of-birth. 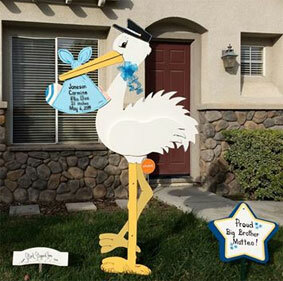 Celebrate and announce baby’s birth by renting a 7 foot Stork Lawn Sign!